Fantastic results by our Rowers at the Maadi Cup last weekend. The Maadi Cup draws the best rowers from Secondary Schools across the whole country and Wentworth Rowers achieved some excellent results. Wentworth Rowers make College History! After five seasons of hard work by current and previous squad members, Wentworth College took its rightful place on the North Island Championships podium this past weekend with Jacob Langridge and Chris Everitt winning a Silver Medal in the Boys' Under 18 Lightweight Pair. Whilst this was the best result of the weekend, all squad members raced hard to obtain placings in a total of eight finals - a fantastic effort! 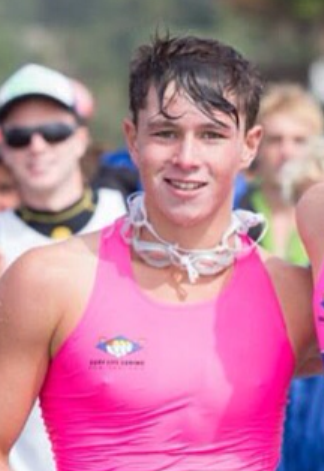 Congratulations to Taine Johnston (Year 11) for his fantastic results at the National Surf Lifesaving Champs in Whakatane last weekend. Taine won a Gold medal in the 'Board Rescue' and Silver in the 'Beach Run Relay'. Well done Taine! 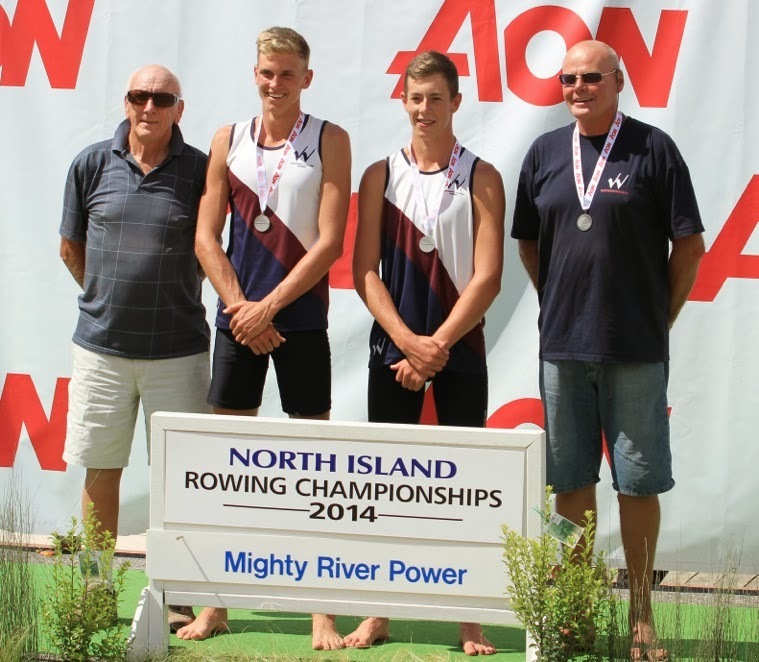 ex-Student wins GOLD at NZ Rowing Champs! 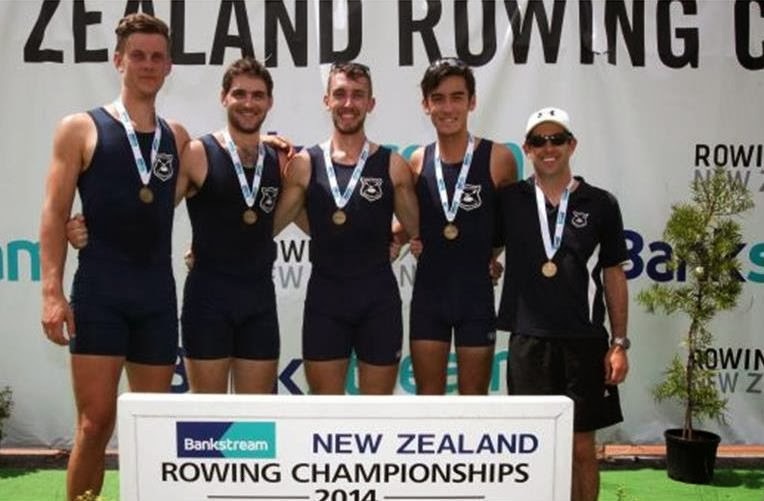 Congratulations to alumni, Jake Guy (pictured, 2nd from right) and his team for taking Gold in the Men's Senior Quad at the NZ Rowing Championships in February. Jake was a talented member of the Rowing Squad during his time at Wentworth, and we hold high hopes for his future in the sport. Well done Jake! Years 5/6 Basketball teams looking good! Fabulous games last night from both teams! The Blues won their match 20:0 with Player of the Day Molly Langridge. The Reds also won 10:5 with Blake F-B as Player of the Day. Every single player worked terrifically hard with some super passing, marking and finding space. Well done to all players! 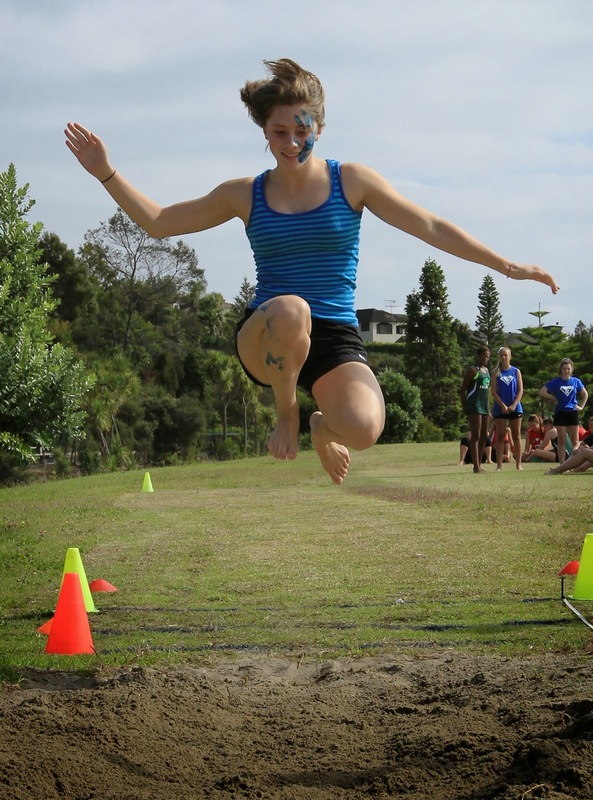 Congratulations to all participants in last Thursday's annual Athletics Day. Glorious weather, great House spirit and vocal supporters combined to make a fantastic day for everyone! 3rd - Findlay with 1172 points. Congratulations to our Junior Basketballers who won their Term 1 grading game 44-4. Please send Wentworth Sports Results, Photos and Stories to Matt Harris.